Is Romeo Beckham a gay/bisexual? What is Romeo Beckham marital status? 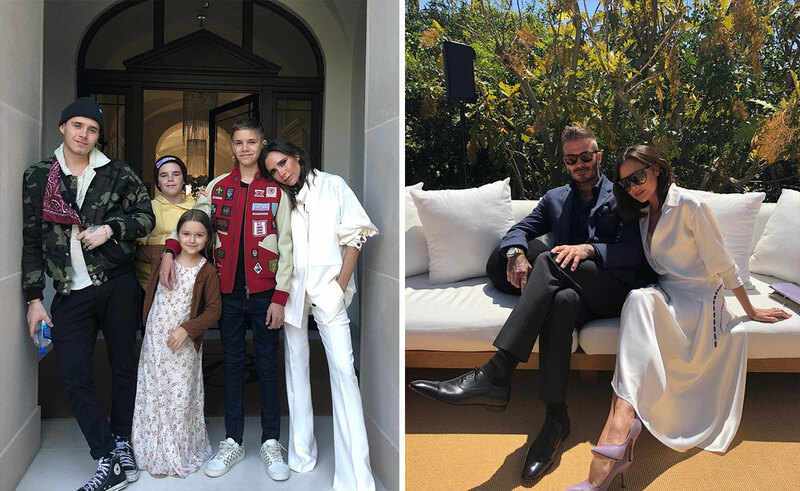 It’s not a secret that Romeo Beckham is the representative of a famous rich family. His father, David Beckham, is an awarded English former soccer player, and his mother Victoria Beckham is a well-known fashion designer, dancer and ex-singer. The boy has become a real gift from God for his parents, but he appeared, when Posh and Becks had really hard times. Then his father was accused in press of having extramarital love affair. And in addition, small Romeo was diagnosed with epilepsy. Except for incredibly popular parents, Romeo has three cute siblings; each one is talented in his own way. 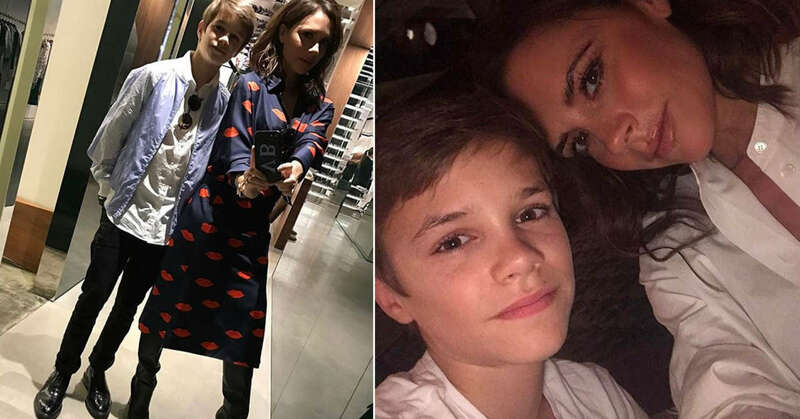 Let’s look at Romeo Beckham family through a magnifying glass. Who are Romeo Beckham parents? 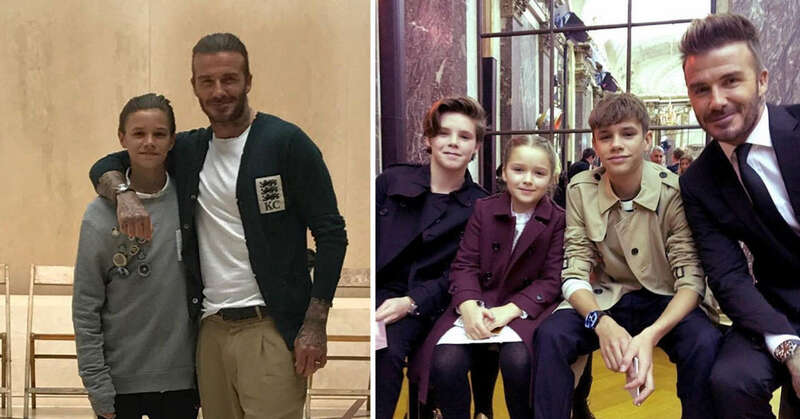 During his interview to Jimmy Kimmel, soon after his retirement from pro sports, David Beckham told, that his second son Romeo didn’t like his father to kiss him in front of his friends, when he took the boy to school. Probably, the boy doesn’t like to show his feelings in public. But no doubt, he has a lot of reasons to be proud of his dad. One of the most recognizable athletes on the planet, David went into the limelight for the first time in 1995, when he debuted in Premier League as Manchester United player. After that he has always been in the focus of a public attention, sometimes as a winner and sometimes as a loser. In any case, Romeo’s father is a person of an interesting fate. David Robert Joseph Beckham was born in the East London region in the family of Sandra and Ted Beckham. His mother earned her living as a hairdresser, and his father was a kitchen filter. David is the only son in his parents’ family. Except for him, his mother and father brought up two girls. Ted dreamed about having a son, that’s why he was really happy, that finally God gave a baby boy to him. He spent all his free time with David and taught him to play soccer. Being a big Manchester United fan, Ted took his small son to their matches. Thus, from the earliest years David was in love with this team. Soccer always was an important part of his life. Beckham got great preparation as a football player. He was coached at one of Manchester football school. Later he began to play for Ridgeway Rovers, the local youth team. 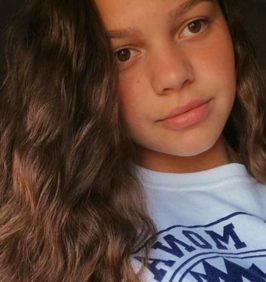 After that the talented teen player performed for a prestigious local club “Leyton Orient” during two seasons and then attended a famous football school “Tottenham Hotspur”. In 1990 the young athlete was ranked as the player of the year in “under fifteen” category. No wonder, that soon he was noticed by Manchester United agents. Being just 16-year-old, he was signed to the youth training program, arranged by this team especially for probable future soccer stars. In 1993 Beckham started to play for Manchester United professionally. His career lasted during more than 22 years. There are a lot of loud names in soccer history, but David managed to become a real icon of modern sports. He was famous both, on and off field. He has become a role model for many people worldwide, who coped with lots of difficulties on his way to success. 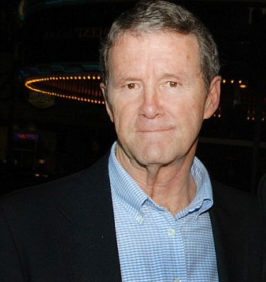 Except for Manchester United, he played for various teams – Real Madrid, LA Galaxy and Paris Saint-Germain, which became his last FC before the retirement in 2013. In 2000 David was appointed as a captain of English national team. 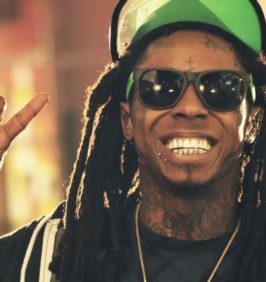 His name has become a brand, which helped him to land a number of lucrative endorsement deals. David advertised Adidas, Pepsi and other popular rich companies. His marriage to a member of then-cult band Spice Girls Victoria Adams added him some kudos and enlarged his fan base. Everyone, who lived in 1999, remembers that remarkable year. 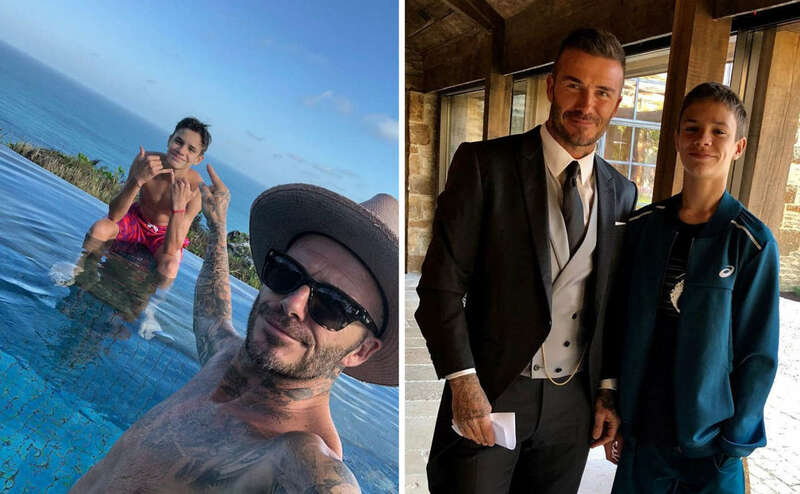 Then everyone was captured by the turn of the millennium, got acquainted with just introduced Euro currency and of course, was looking forward to upcoming wedding of two internationally popular stars – Victoria Adams and David Beckham. Their love story reminds a beautiful legend. They met after Manchester United charity game, which she visited with a friend and Spice Girl colleague Melanie C. Then David came to his fans and noticed a beautiful brunette girl in a crowd. She looked so great, that he felt awkward and couldn’t ask her telephone number. She wrote it herself on the back side of her ticket. David and Victoria started dating and soon gained the reputation of the most stylish couple among celebs. Victoria immediately began to change the style of her boyfriend. They wedded on July 4, 1999. That was a rich and lavish ceremony, which cost two stars about $800, 000. Victoria looked great in a snowy white wedding dress from Vera Wang. David couldn’t stop admiring his beautiful wife and their 4 months old son – they welcomed the first son Brooklyn several months before making their love official. In press their beautiful couple was nicknamed as Posh and Becks. They looked so natural together. It was even hard to believe, how different they were earlier. If Romeo’s father comes from an ordinary working class family, his mother is a real noble lady from England. Victoria spent her young years in Goffs Oak, Hertfordshire. She grew up in the family of Anthony Adams, and electronics engineer, who managed to build a successful business career, and his wife Jacqueline, an insurance clerk. The future Spice Girl star has two younger siblings. Her father was really rich and from the earliest years Ms. Adams lived like a small princess. But her parents’ success had a bad side, too. The girl’s peers envied and bullied her. 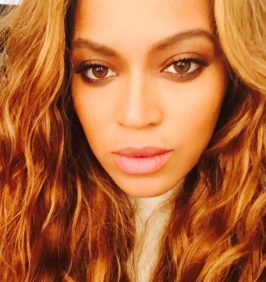 In her teens the girl watched a popular musical “Fame”, which inspired her to make career of a singer and dancer. She convinced her parents to send her to Jason Theatre School. In 1994 she visited audition and was chosen as the participant of a new band “Spice Girls”. Thus, soon Victoria was catapulted to stardom. “Spice Girls” reached incredible popularity and released 3 studio albums, which were sold like hot pies all over the world. In 2000 the girls disbanded, and Victoria tried to make career of a solo singer and even released her first album “Victoria Beckham”. In spite of the fact, that her work got positive reviews and was ranked as the tenth best album of the year in UK, the woman decided to end her career in music. Currently she is known as a famous fashion designer, who created a number of well-sold jeans clothes collections and a great variety of fashionable bags. In spite of numerous divorce rumors, Victoria is still the loving wife of charismatic David Beckham. She is also a slim mother of four cute kids. Except for Romeo, there are three other children in Beckham family. Brooklyn Joseph Beckham birth has become a sensation for the whole world. 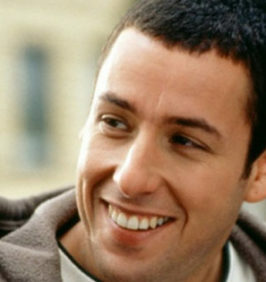 The first son of the most famous couple of late 1990s, he immediately caught public attention and had to grow up with it. The boy was born in London, but he had to move from one big city to another, following his parents’ careers. From the earliest years his pics appeared in press, and each time his face was really expensive for magazine owners – for example, for Brooklyn’s photo session for OK Magazine his parents got $1, 8 million. The cute celeb’s baby got a really famous godfather – a singer Elton John. 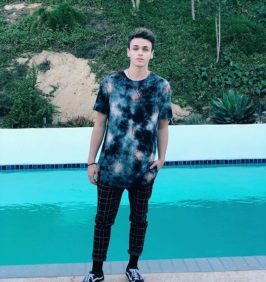 In his teen years the boy was keen on football and planned to make career in this area, but he was pressed by comparisons to his legendary father, and decided to quit playing soccer on professional level. Instead of it, he entered Parsons School of Design, where he studies photography since 2017. As for now, the young man can boast with a book of his photos, titled “What I See”. Having turned into an attractive young man, he is an Instagram star now. Romeo’s older brother is known by his numerous love affairs too. During a year he was romantically linked with a young French actress Sonia Ben Ammar. His other long-term love interest was a young American actress Chloë Grace Moretz. Cruz David Beckham was born in Madrid, Spain, where their family moved, following career of their father, which signed the deal with Real Madrid. Like his older brothers, Cruz came into the limelight at a very early age. The boy performed Break dance at Spice girl reunion concert, where his mother performed too. At the age of 11 he felt that music was his cup of tea and announced the beginning of career in this area. Later the newborn singer released a single “If Every Day was Christmas”. Income from the rotation of his first song the boy spent for charity. 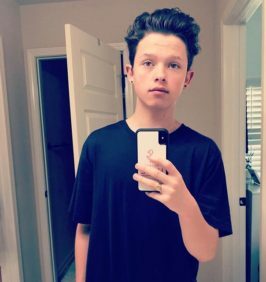 The baby-faced brother of Romeo boasts with massive Instagram following. 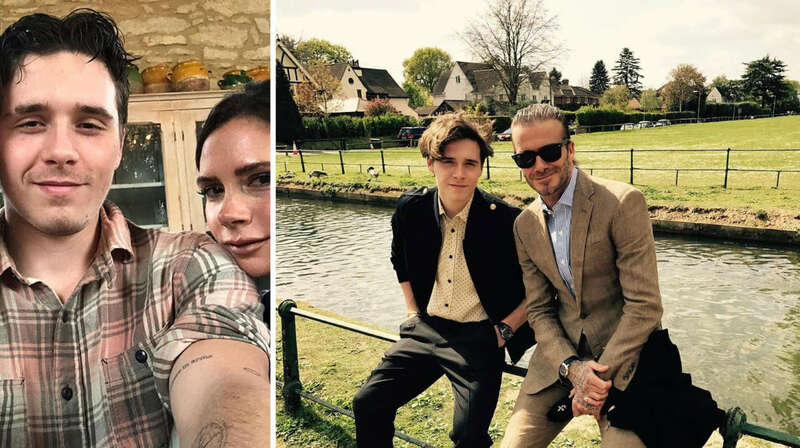 Harper Seven Beckham is the only girl in celebs’ family. Romeo’s sister was born in Los Angeles, California and immediately became the small pretty princess for her parents and older brothers. It’s rumored, that her father David can’t stop admiring his little girl, and he spent thousands of dollars for his little beauty. The girl is a real fashionista and has really expensive clothes in her wardrobe. Some of her dresses are made by the hands of legendary Karl Lagerfeld, the others were designed by Ralph Lauren. But clothes are not the only things an ex-soccer player buys for her – he also made a tattoo with the girl’s name on his left arm. Harper is too little to pursue any career, but her interests are focused around performing art. The girl attended Italia Conti Academy of Theatre Arts. She also attends ballet classes. 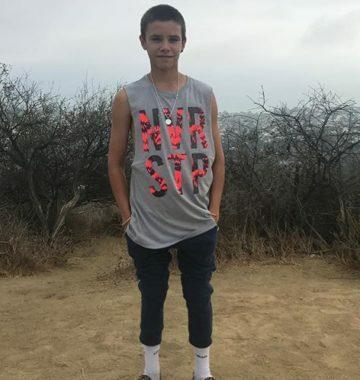 He is rumored to date a young actress Millie Bobby Brown since March 2019. The popular issue “The Sun” reported about the early love between Millie and Romeo, about which an anonymous source told them. Two young celebs have been known to each other since 2016. They met at a charity gala concert, where both participated. They say, Victoria likes Millie and considers her as a great couple for her son.